Today’s my dad’s birthday so for my wombat loving, guitar loving dad I created this card. I’ve researched what the wombat looks and how their body moves before I sketched a few version. Following that, I outlined it with a black felt tip pen and colored with pastel pencils. Dad is getting a guitar for his birthday this year so perhaps he can do a duet with Mr Wombat? 17 Jul	This entry was published on July 17, 2015 at 9:00 am. 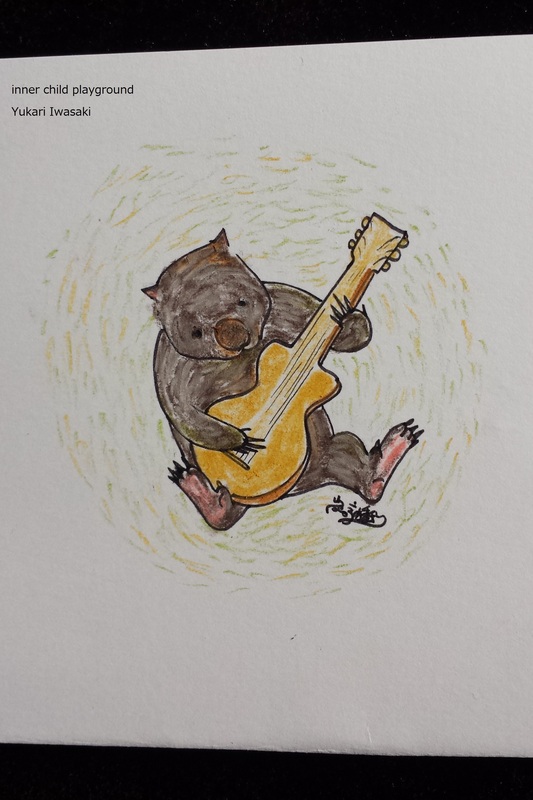 It’s filed under Card designs, Drawing and tagged animal drawing, australian animal, birthdya bard, card design, custom card, drawing, guitar, illustration, marsupial, pastel drawing, playing guitar, the wombat, wombat. Bookmark the permalink. Follow any comments here with the RSS feed for this post.